This level has hard difficulty. 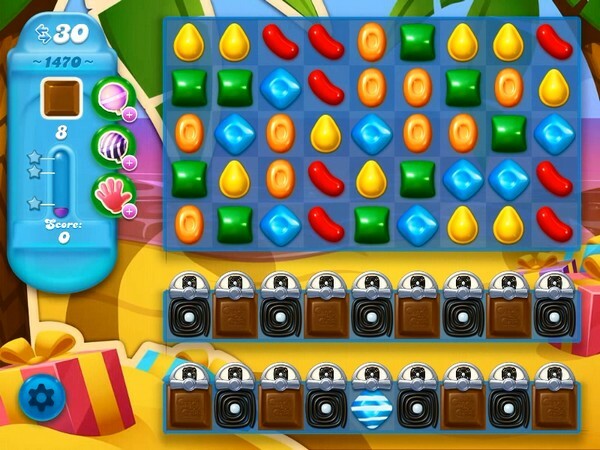 For this level try to play near to chocolates and make special candy as you get the chance. Combine special candies with each other or play near to chocolates to break them. This level makes no sense at all! Special candies, combinations, boosters, do not work! It begins with 8 chocolates and although I have soecisl matches the chocolate count increases. This is absurd and stressful. I have bought my last bars. I am spending too much money on the games to encounter such a dreadful level.